Wealthy businessman Hartley Bassett has killed himself. There's a typewritten suicide note and three guns lying near his body. But for Perry Mason, that's evidence overkill. He knows there has been trouble in Bassett's life. 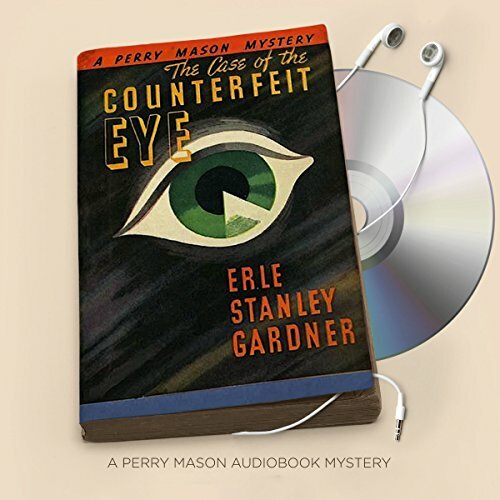 His wife wants out, his stepson hates him, an embezzler can't pay him back - and there's the man with a glass eye who hired Perry Mason even before his glass eye went missing and was found in the hands of the deceased. There are too many suspects and too many lies. But leave it to Mason, his resourceful secretary Della Street, and clever detective Paul Drake to keep their wits about them and their wiles tucked away, as they piece together the missing parts of this fatal family puzzle. If your only experience with Perry Mason is the old TV show, the characters in the books are a little less polished, a little more worldly, and more interesting. These books are not classic fiction, but then there are times when I don't want anything but a distraction to make the time go by. This is especially on a long drive or when knitting a complicated pattern On those days these are terrific. Try one.